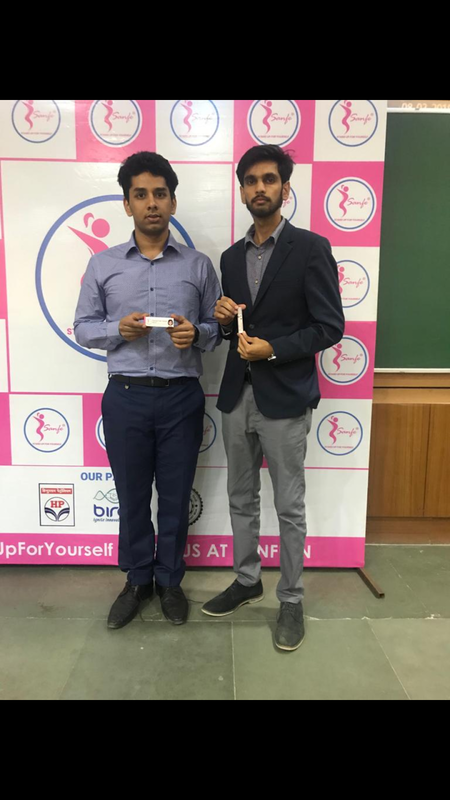 New Delhi: On the occasion of International Women’s Day, an IIT Delhi incubated startup Sanfe has launched Sanfe Period Pain Relief Roll On to relieve periods pain and ease out the mood swings faced by women during menstruation cycle. Sanfe Roll On is developed by two B. Tech students (currently in 3rd year) - Mr Archit Agarwal and Mr Harry Sehrawat (Co-Founders at Sanfe) and an IIT Delhi Professor Dr. Srinivasan Venkataraman. The product has been medically tested and FDA approved with no side effects. Sanfe Period Pain Relief Roll On is an essential oil based natural formulation which has to be applied during periods on cramp affected areas (lower abdominal area, lower back and legs). It provides a soothing action on cramp affected areas followed by a heating sensation which relieves the menstrual cramps. Sanfe Period Pain Relief Roll On comes in a roll on bottle of 10 ml which lasts upto 3 months and costs ₹10 for a single day use. On the occasion of World Toilet day on 19th November 2018, the IIT Delhi incubated startup had launched Sanfe Stand & Pee device for women that provide them the freedom to stand and urinate by preventing infections like UTI from dirty and unhygienic public washrooms. 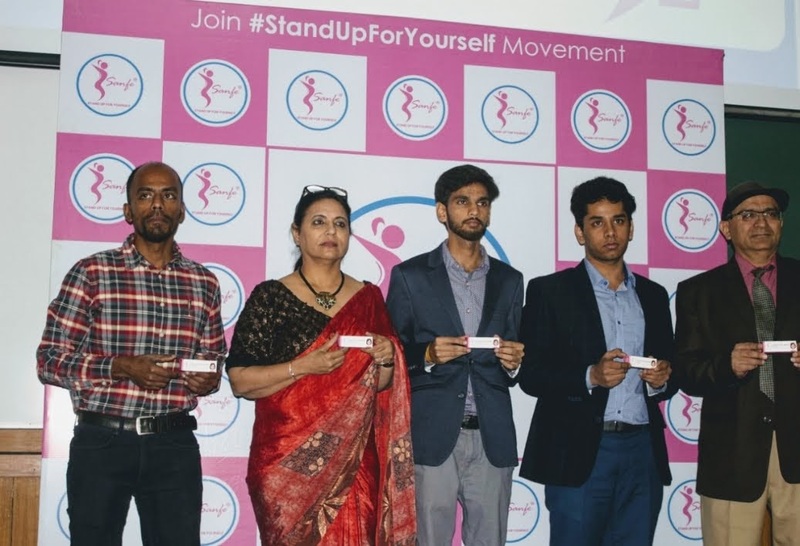 The device had been launched with a #StandUpForYourself campaign under which free samples of the product were distributed to women across the country. 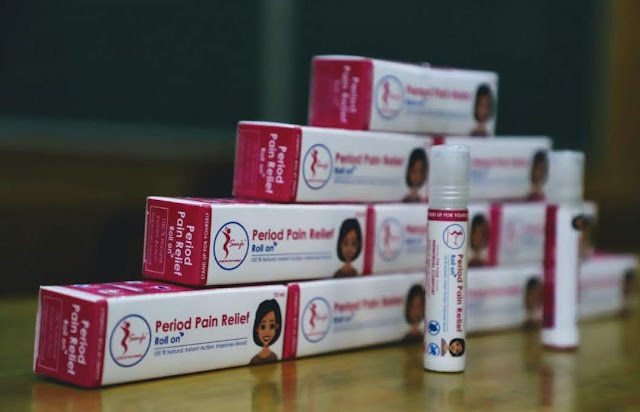 On the occasion of International Women’s day on 8th March 2019, IIT Delhi researchers have planned to empower women across the country by gifting Sanfe Period Pain Relief Roll On to help them improve their menstrual health. Mr Archit Agarwal, B. Tech Textile Technology student and Co-founder of Sanfe said, “Pain is the most common problem women relate with their periods. We don’t want the women to suffer because of a natural bodily function. We figured this problem and designed Sanfe Period Pain Relief Roll On to relieve menstrual cramps”. Prof. Srinivasan Venkataraman, Department of Design, IIT Delhi said, “Women comprise close to 50% of our population and a significant portion of this population experiences pain and cramps during the menstrual period. Therefore, this becomes an important problem to solve.”. The IIT Delhi incubated startup Sanfe aims to innovate products which enable women to live a hustle free life and inspire them with #StandUpForYourself Movement. Dear! Parents, What do you do when you want a safe and secure space for your kids to play? Keep them at home? Well, that’s one option, if you don’t mind all the energetic activity. Or, you can take them to a well-ventilated space like one of the indoor play areas in Timezone Inorbit Mall Malad. 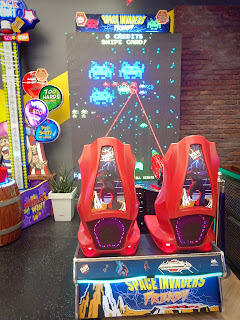 Timezone is one of the most popular gaming zones in Mumbai. They grew in popularity over the last few years and with good reason too! Recently I visited the zone and to my surprise, it was a really amazing experience at the place. 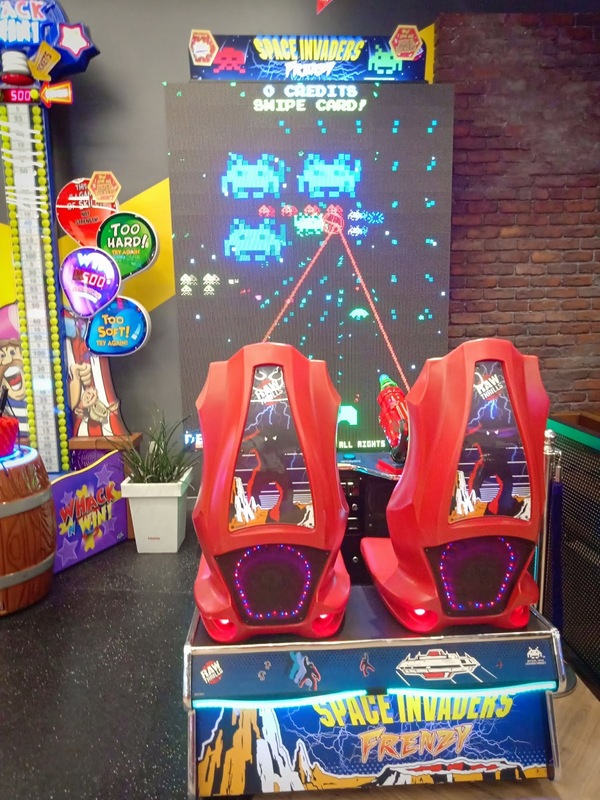 Timezone is the one-stop interactive entertainment destination having the latest arcade games, exciting rides and fabulous prizes to win. The zone allows you to re-live your childhood and make new memories with your family and friends. 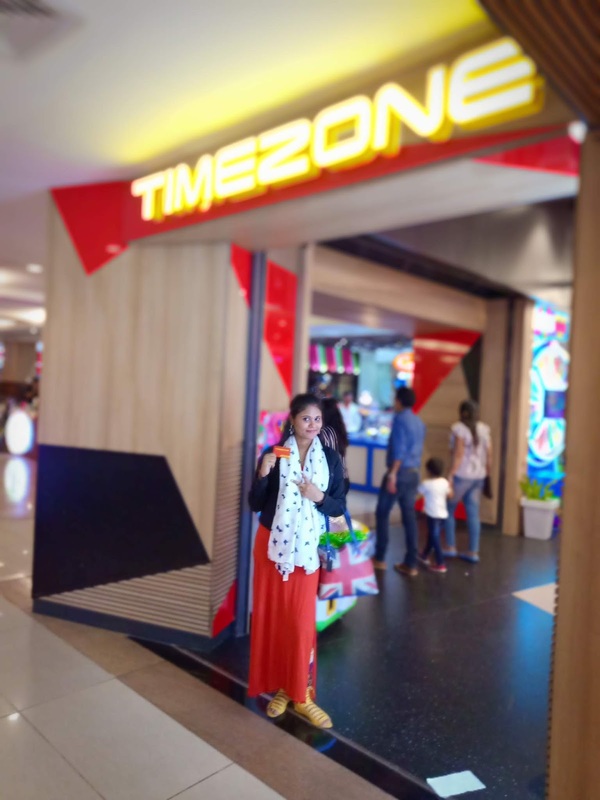 Timezone has recently revamped and relaunched itself as #NEXTGENTIMEZONE at Inorbit Mall, Malad. Timed appropriately, it is all set to lure kids and families with lots of new exciting games, irresistible offers and promises a fun-filled time. Timezone has elements which focus on all age groups like youngsters, kids & adults overall the complete family zone. It’s reflected in the store layout and designs, from a playful and colorful store background they have moved to more of urbane and a futuristic approach and color palette. Lit signages for major concept zones and unique sky grid lighting in the store, enhances the entire layout. With exciting sporty Krazee whirls, to give you all fulfilled dashing car experience of excitement, thrill, and sensations. It has a dual joystick with attractive LED illumination in the base, this further adds on to the experience with enclosed glass room setup. We liked its innovative approach features and gigantic seating facilities. A perfect fusion for both youth and kids to have Krazeefun. Virtual Rabbids: First Time launched in India. This VR gives you experience all the moods and motions of the movie. 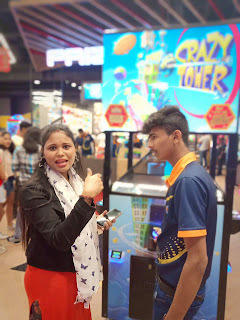 Willy Wonka: It’s the latest in redemption games getting launched for the first time in India at Inorbit Mall Malad, this is a character licensed game for adults which is extremely addictive and has a great recall value. In many stores internationally, customers queue up ahead of the store opening to play the game first every day. Family Bowling: Not much experience and practice are required to master the art of bowling—all you need is the right aim and a unique style to earn that coveted strike. The latest graphics and animations make knocking off the pins more fun. Prizes:- They have a huge prize section at the center of the Timezone with full of goodies too. Finally, gather all your winning tickets and put them on the ticket eater machine & add a total value of tickets in your card to buy their goodies, toys, bags, cold drinks and many more. Relaxing chair:- They also have a massaging chair to relax some time whenever you feel tired. Just swap your card lay on massaging chair and it rolls balls along with your meridians and muscles that might have been clogged with trigger points, but because it’s rolling, and your weight is pushing on the balls, it’s a magnificent massage also. It’s an intense massage and you’ll sleep like a rock after using it. In fact, you’ll be VERY VERY tender after the first couple of times, but in some time your muscles will get used to the pressure. The safe and enjoyable place to visit even if it is pouring outside! 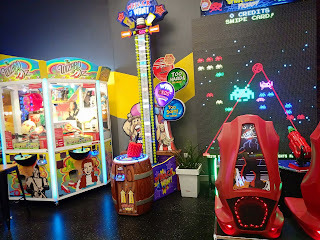 I enjoyed almost all the games inside the zone. 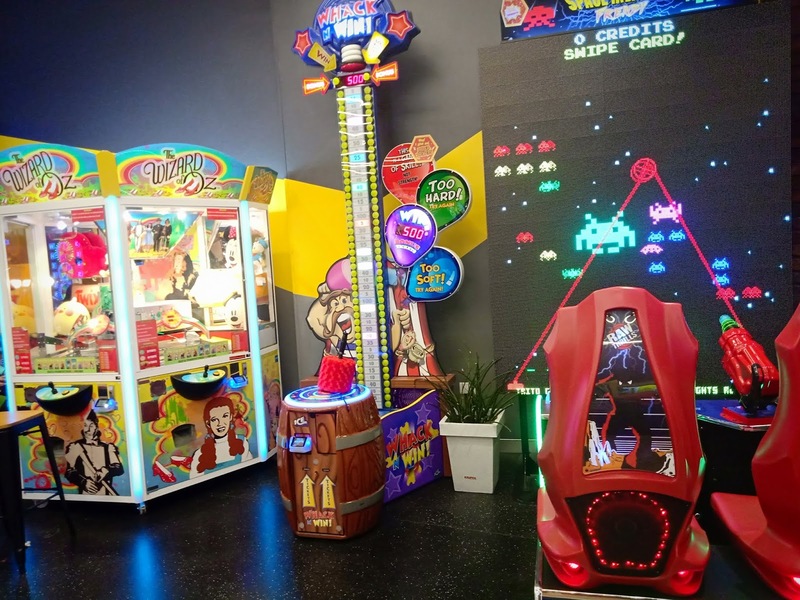 The place is very safe & secure with the latest gaming equipment's. Great place for hangouts with friends, play dates and birthday celebration. Safe, Secure & Clean environment. Well enough to accommodate all age groups. Great for play dates and birthday parties. Malad​ in association with BlogAdda"
Indeed!! Weddings are a fairy tale in the middle of one’s daily life. It is a celebration of romance, trust, partnership, tolerance and tenacity. It is one of a woman’s most precious moments, a significant event in her life which gives her countless memories to cherish and share forever. And to add to the memories, bridal jewellery is one of the most important elements to enrich her look. Reliance Jewels, India’s leading fine jewellery brand, celebrates the magnificence of weddings with their exclusive Bridal collection. Every piece in this collection is a work of art, comes in versatile designs catering to the vast Indian culture and tradition. The intricately designed bridal collection showcases the finesse of the renowned traditional Indian craftsmanship in contemporary forms. This collection is exquisite yet unique and is designed with an intent to redefine the jewellery experience like never before. 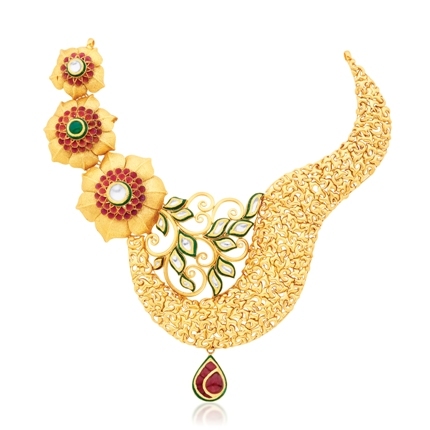 Reliance Jewels has something for everyone; and is perfect for not only the bride, but her family and bridesmaids as well is an apt choice to shop for exclusive, edgy, inspirational and vibrant pieces of jewellery to suit all occasions. 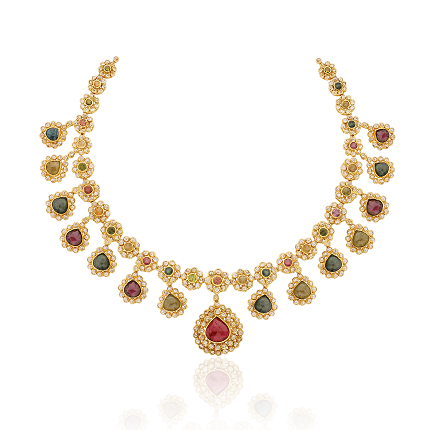 At Reliance Jewels, gold and diamonds are available at the most competitive rates. Zero wastage and competitive making charges to ensure 100% satisfaction for customers. 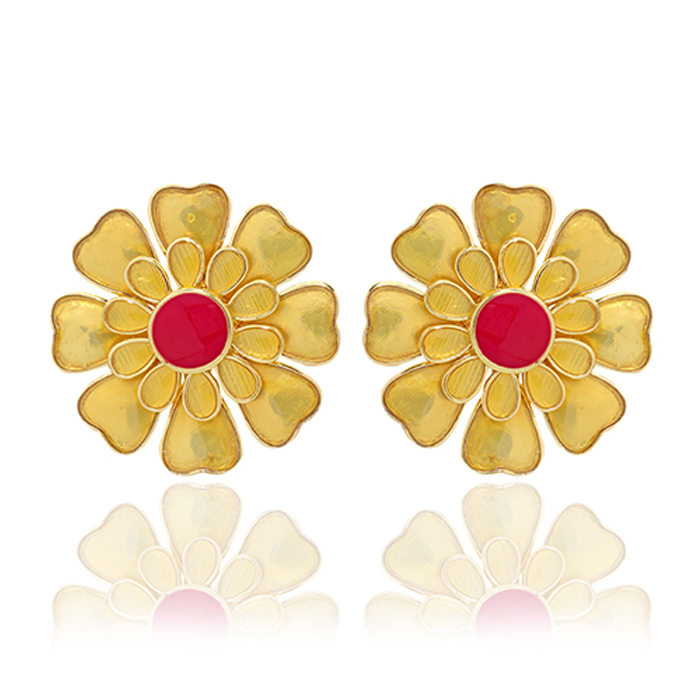 Reliance Jewels has 71 showrooms across 45 cities and is expanding exponentially. With a spectacular variety of designs in its collection, Reliance Jewels has an ornament for every personality and every occasion. Reliance Jewels deals only in 100% BIS Hallmarked Gold. Every diamond used is internationally certified by Independent Certification Laboratories. Every showroom has karat meters for customers to assess the purity of gold free of cost. The wide array of choice combined with customer-first services, such as customization, jewellery cleaning and polishing and the availability of karigar rooms and karat meters makes every Reliance Jewels showroom one-stop shopping destination for fine jewellery. When the days get warmer, the jewellery just gets hotter! Summers are here! A fun season filled with the beach, bright sun and blue water. 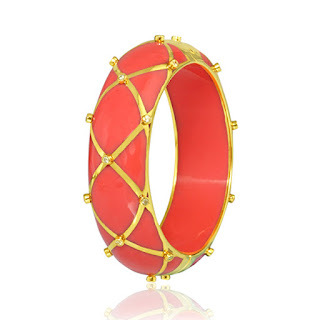 With all these fun colours surrounding you, isn’t it time to update your wardrobe with jewellery in vibrant and bold hues? 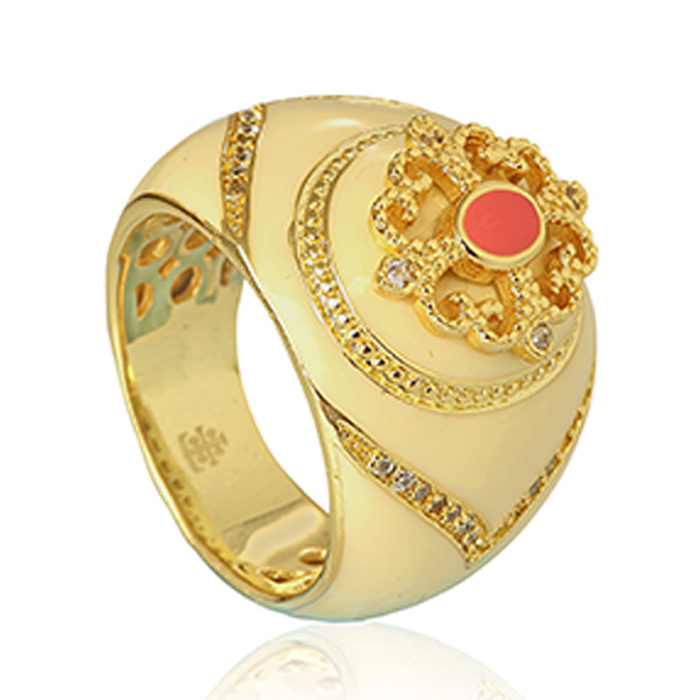 So, let your style be bold and dominated with some eye-catching and pop colours with eccentric designs on the jewellery by The Bohemian. These trendy colours and designs will look great on anyone, no matter your personal style or age. 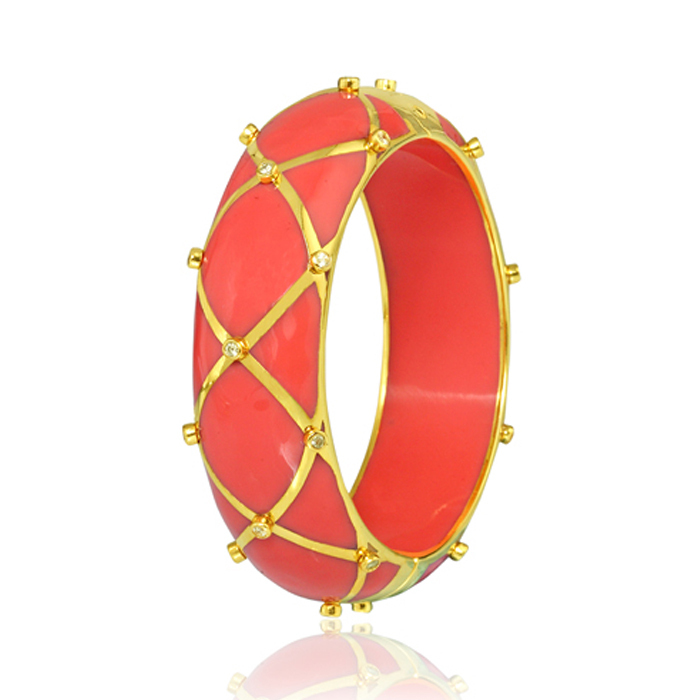 You can choose from a bright red coral and orange hues of amber to represent the sun and the sunset. 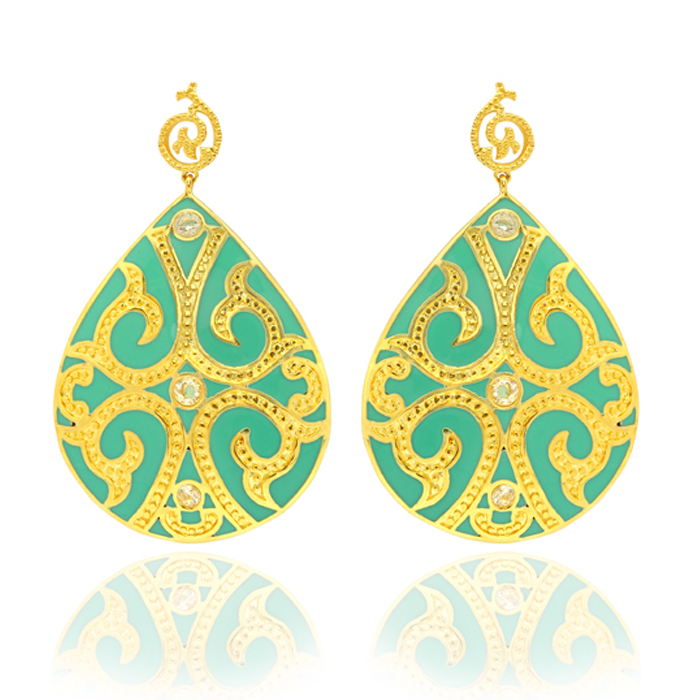 Choose stones with fun colours such as amethyst and turquoise to signify the fun of the season. The Bohemian offers a variety of colour range and design options to choose from. 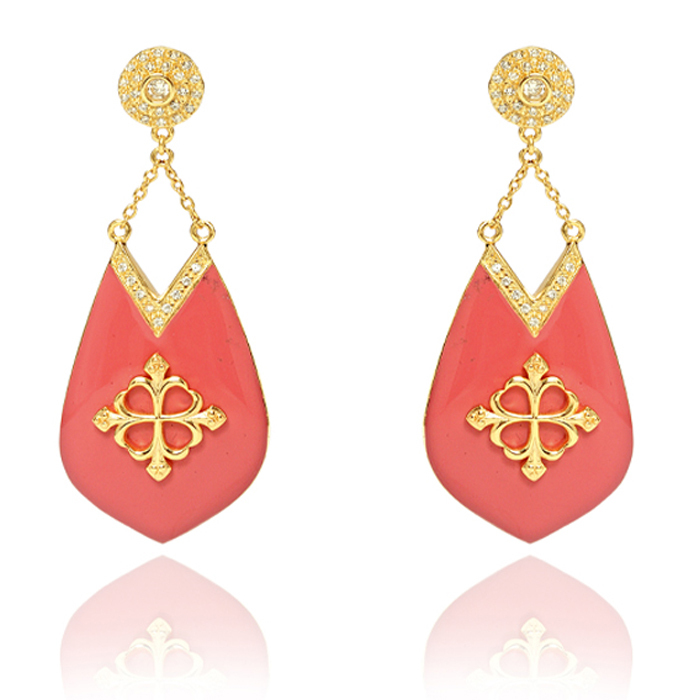 Opt for their blue ‘Skinny Bamboo Bangle’ or add a pop of pink to your face with their ‘Artistic Cross Earrings’. 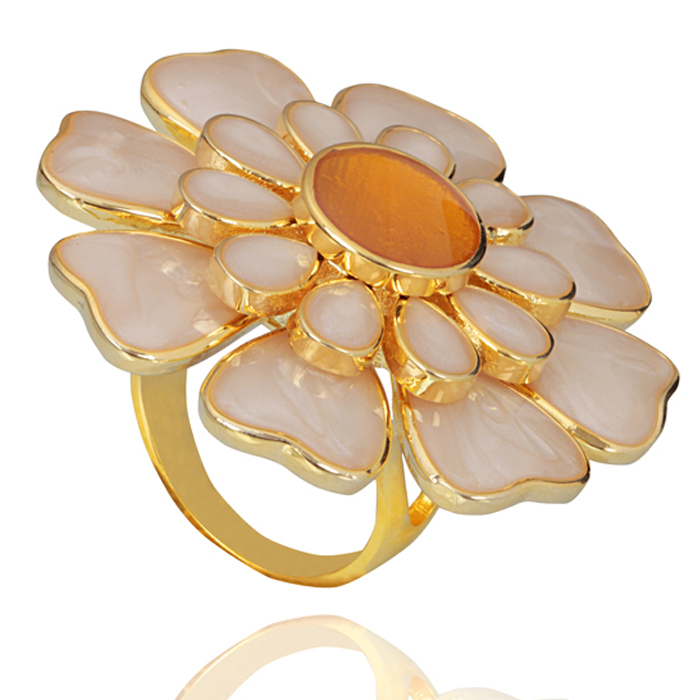 It’s time to take out your brightest colour summer jewellery and match it with your beachwear! We have got it all covered for you at The Bohemian. 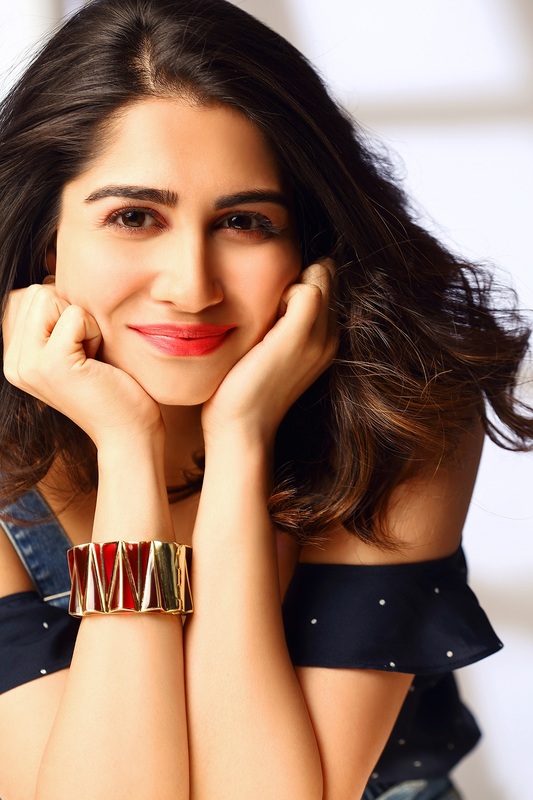 Founded by the beautiful Mitaali Vohra in 2015, The Bohemian is a Luxury Fashion Jewelry label launched as an ode to preppy boho chic and effortless on-the-go haute couture. The designs were helmed to provide no-fuss, high-quality accessory options to well-traveled, stylish women looking to make a statement on-the-go. 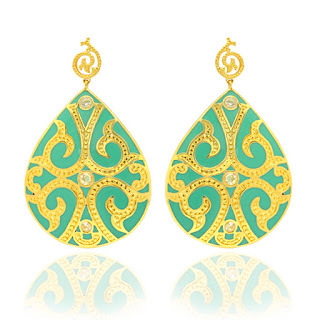 What started off as a small curation of eclectic travel-friendly jewelry as an alternate to precious jewelry, soon became a brand catering to women all over the world. 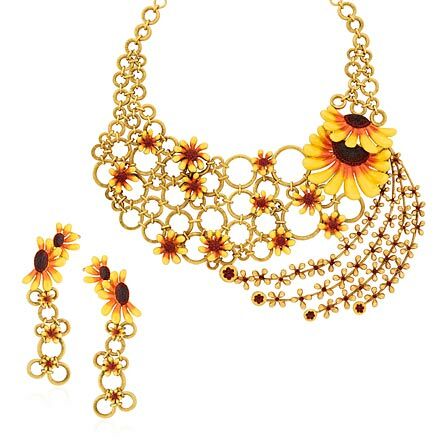 The brand aimed to break the stereotype of high-expense purchases and handle-with-extreme-care caution surrounded by jewelry. 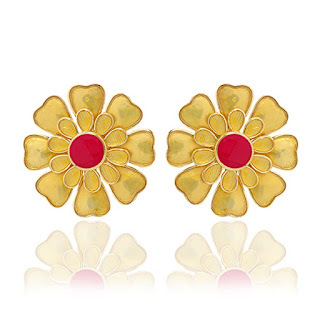 We instead encourage equally fashionable options for women looking to pick an assortment of accessories for special occasions and spontaneous fun wear. 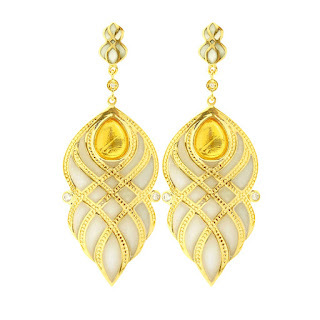 Their jewelry is intricately designed and handcrafted and sells out of their two flagship stores in Mumbai as well as through retailers globally. Their customers are smart, accomplished women with a flair for bohemian chic and the brand finds it heart in the core value of ‘creating to inspire’. 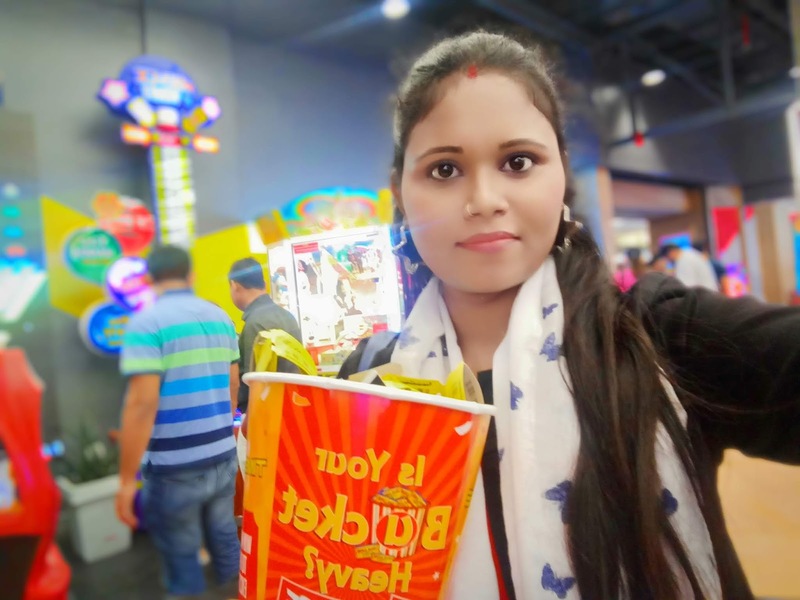 Living in a metro city for a long time now has certainly taught me a lot of lessons including how to manage time, food, travel, and most importantly, managing my rented apartment. If you are renting an apartment in a city like Mumbai, the utilization and decoration of the space becomes very important. 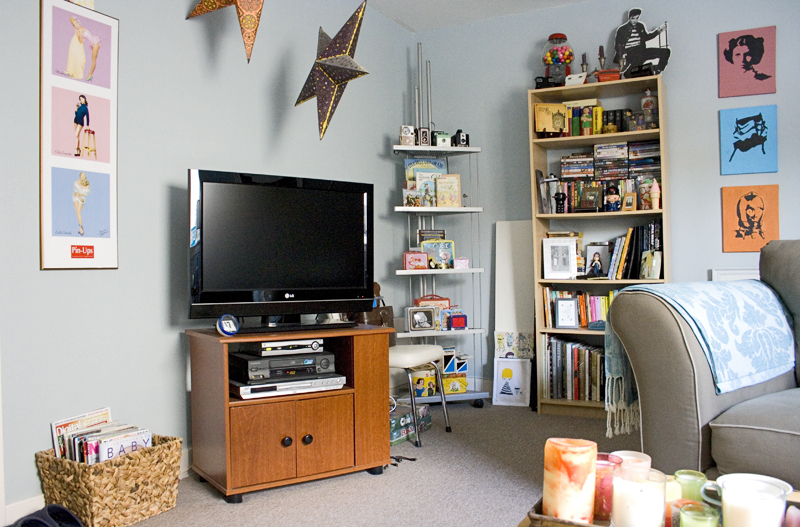 Apartment decorating is not easy as it looks, especially when you have a small apartment. But as I have learned the hard way, the look of a living room in lifestyle magazines never really matches up the reality. If you are looking for ideas and cost-effective ways to help your apartment look perfectly decorated and styled, you have landed at the right place. In this blog, I will talk about my experiences and few ideas on how you can use renting to make the decoration of your home a merry affair. Before I share a few ideas, let’s understand the concept of rentingfurniture and appliances. Nowadays, it is easier to rent furniture and other things online, as it is more convenient, commitment-free, and cost-effective in comparison to buying them. Thanks to online portals like RentoMojo which enable everyone to #SmartlyOwn quality furniture, appliances, and vehicles at affordable cost. They also provide appliance and furniture at affordable RMIs (Rental Monthly Installments). If you are planning on setting up a home in a new city, renting furniture and other appliances can be a good option if you frequently change locations every one or two years. If you are looking to move into a new space, it’s always good to look for an unfurnished apartment. So if you ask why, the answer to this is very simple. First of all, you will end up saving a lot on rent every month. Second, you won’t have to live with the furnishing which your landlord thinks is beautiful. It may be a green wall with a black sofa, and if you accidentally end up doing some damage to the furniture, you might end up paying extra for repair or replacement. Now coming to the main question – Buy or Rent? 1- If you are buying furniture, its value depreciates quickly over a period of time, but renting saves you from it. Just pay for what you use and swap it if you don’t like the colour after 6 months. 2- If you switch work locations frequently, shifting can be a major challenge for you. It will be expensive as well as an additional pain to the core of packing and shifting. 3- Splurge … On Certain Items: Rentbetter quality of furniture like sofa, beddings/mattress, etc. Renting gives you an opportunity to choose high quality products without worrying about the cost of purchasing and saving a huge chunk of cash out for the EMIs. 4- Subscribe to renting, and get your furniture from online portals like Rentomojo. Extremely affordable, the furniture comes with additional services like free delivery and installation, which means you don’t have to end up paying packers and movers out of your pocket! Not just that, it comes with free maintenance and relocation. This means complete peace of mind. 5- An unfurnished flat gives you the freedom to decorate the place in a way you want to — but that doesn’t mean you need to splurge money by buying your own furniture. So, prefer renting over buying, and save money! If you are rentingfurniture, you get many advantages over buying them (Rent Vs Buy). So based on the these benefits, renting furniture perfectly makes sense if you are setting up your home for the first time or just moved to a new city. Subscribing to online renting portals like Rentomojo can make your job easier. I checked the website, and they have a terrific range of furniture and essentials to help you decorate your home. Do share your thoughts and experiences on renting furniture in the comment section. 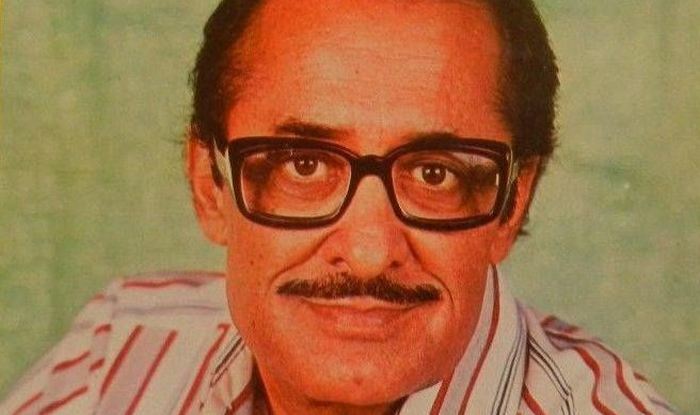 Best known for his evergreen movies, Teesri Manzil, Qayamat Se Qayamat Tak and Jo Jeeta Wohi Sikandar, Nasir Hussain was amongst those few in the industry who seldom gave a flop. Father to director and producer Mansoor Khan, uncle to the perfectionist Aamir Khan, Nasir Hussain was a writer, producer and director par excellence. 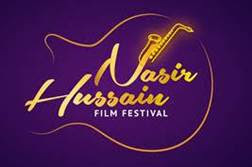 Commemorating his contribution to Indian Cinema, Zee Classic, with its proposition Woh Zamana Kare Deewana, has curated over a month-long festival titled ‘Nasir Hussain Film Festival’. Starting 7th January, the festival will showcase his greatest hits including Yaadon Ki Baarat, Hum Kisise Kam Naheen, Teesri Manzil, Zamaana Ko Dikhana Hai, Qayamat Se Qayamat Tak and Manzil Manzil, every Sunday at 12 noon. An important anecdote from his days at Filmistan is that when Hussain decided to direct his debut film Tumsa Nahin Dekha (1957), he wanted Dev Anand to play the leading role. 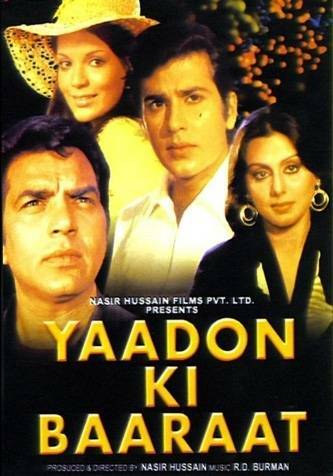 But since Dev Sahab turned down the role, Sashadhar Mukherjee wanted him to take Shammi Kapoor. Hussain was sceptical about this suggestion. Shammi Kapoor himself was considering quitting films when Tumsa Nahin Dekha was offered to him. 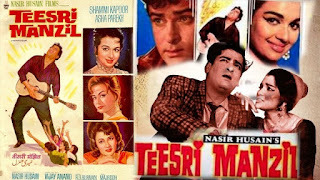 But as luck turned out, Tumsa Nahin Dekha clicked in a big way at the box office & there was no looking back for both Hussain and Shammi Kapoor. For all the music lovers, you may recognise Nasir Hussain better, for he is the one whose songs are most remembered. Still guessing? O Haseena Zulfonwali, O Mere Sona Re, Chura liya hai tumne jo dil ko if not the original, the remixes will ring a bell. Adding to this list are, ‘Aye Mere Husafar’ or ‘Papa Kehte Hain’!